Located in the suburban Satellite area of Ahmedabad, Art Socio founded by artist Aditi Agarwal is a noteworthy addition to the burgeoning art scene of the city. 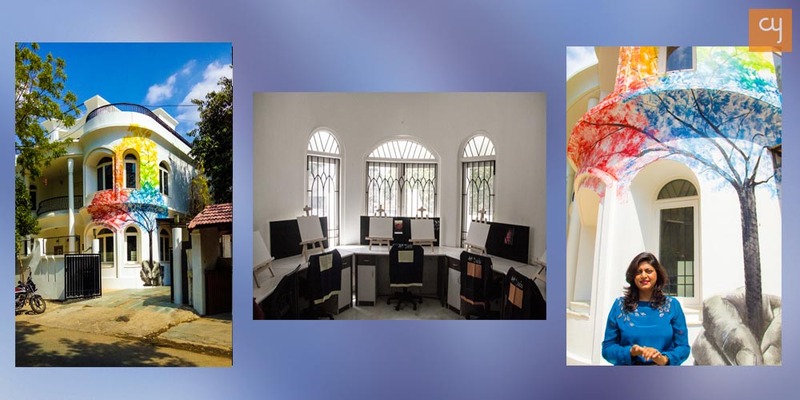 Art Socio is a lavish bungalow, tastefully converted into an art space. In the founders words, Art Socio is a ‘concept gallery’ that aims to make art engaging for people from varied backgrounds. The Gallery has enough space to host a full art show and yet have space to let conversations happen. 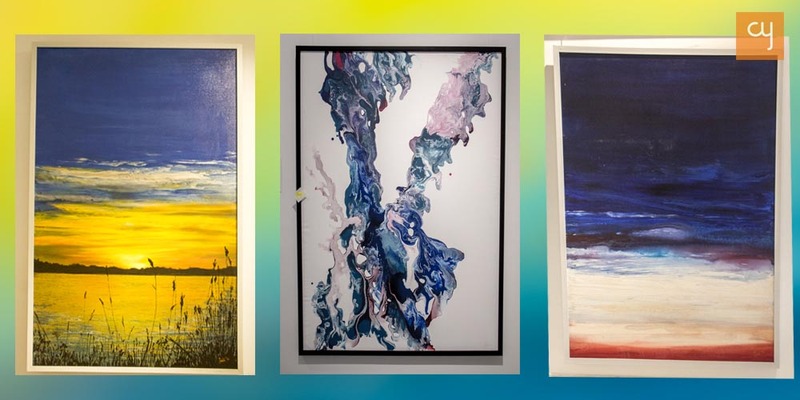 A unique feature, that the gallery is introducing is ‘Paint Dip Sip’, wherein the idea is to let non-artists engage with colours and forms through a guided fun art session. A cosy little room on the ground floor is dedicated for this therapeutic activity. This shall be open for anyone who walks in the gallery. 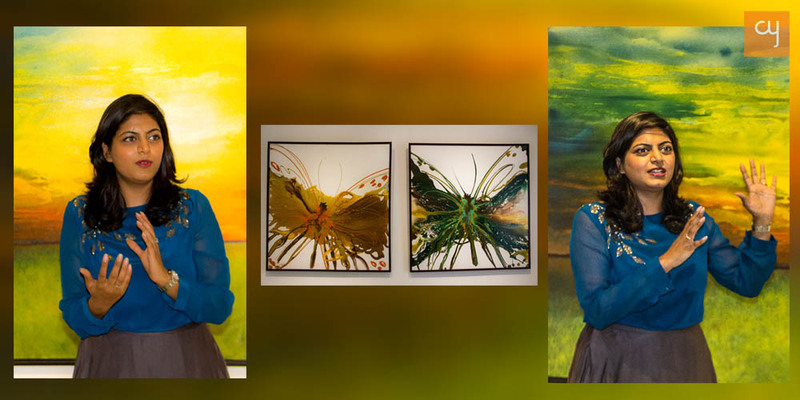 Aditi Agarwal is an established scenic artist who has exhibited quite a few times earlier, including the Solo show at the prestigious ‘House of Lords’ in London, UK. Born in Nepal, Schooled in Mussoorie and having practiced art in UK, Aditi brings with her a world view that refuses to look at Art as a glossy facia. For her art is a beautiful medium of human expression, which can bring lot of joy to people’s life. In her own words, “Burst of colors on canvas can lift up your mood and create magnificent expressions.” If you visit the Art Socio, the first thing to greet you is the majestic 30ft tall mural art on the facade of the bungalow; created by Aditi the mural sets the mood of the visitor by breaking the homogeneity of the neighbourhood it is located in. As you wander in nooks and corners of the bungalow turned gallery, and enjoy the undisturbed gaze of the large-sized vibrant canvasses you realise how immersive and personal art viewing can be. This opens up the boutique art gallery experience, quite distinct from the institutional gallery experience; for the Amdavadi connoisseur to savour. As the name suggests, Art Socio is an effort to let the community socialise through the medium of art. The gallery boasts two paint rooms, wherein a group of people or even an individual can arrive and try their hand on brush and canvas. Agarwal was inspired by the concept of Art Party during her visit to New York and thought to adapt it within her art space. The two-hour session will have a per participant fee, the gallery shall provide the material and it can accommodate around 20 people at a time. Guidance will be offered to the participants by the gallery, as required. The Gallery will be inaugurated by renowned art collector Anil Relia on June 17, 2017, and will be open for visitors from June 18, 2017, Monday to Saturday, 11:00 am to 06:00 pm.